This here is the gold standard carrot! The Danvers Carrot is truly a first-class crop that thrives in a variety of soils making it one of the easiest vegetables to grow. These incredible carrots were originally developed in the 1870s by market gardeners in Danvers, Massachusetts because of their adaptable and dependable nature. 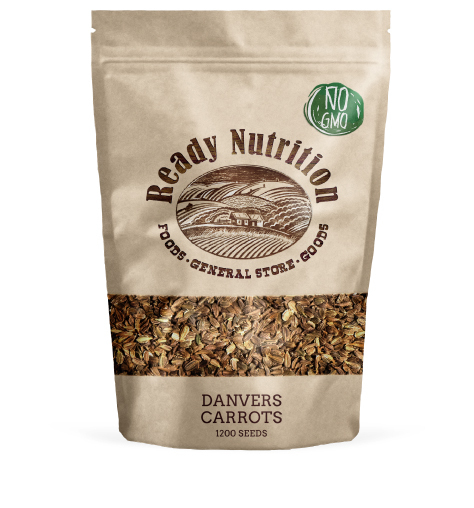 Danvers Carrots produce a nearly coreless, vivid red-orange root that’s sensationally sweet. The deeper red-orange color the root, the more loaded it is with the powerful antioxidant beta-carotene. Danvers Carrots also nourish with vitamin B6, vitamin C, and potassium.